We have seen a consistent change over the years to move towards a more inventive engineering and discovery mindset within our innovation approaches. We started in manufacturing, continued in logistics and supply chain and have seen an evolution of our labs and thinking to keep advancing our processes, thinking and growth inside our organizations. Now we are looking far more outside, connecting into the customer’s specific needs. We have been steadily learning to adapt what we knew inside an organization with what we should increasingly listen to outside it. There has been an increasing emphasis of linking concepts in new and novel products and services, increasingly closer to these customer needs and desires. We have moved from the inside looking out of organizations to focusing on the outside coming in, working more in ecosystems and far more closely with the customer in growing collaborations. To support this ongoing journey we have been evolving our problem-solving methods. Let me briefly touch on some of the most popular methods before I move specifically into TRIZ as they require some re-evaluating within the changing complexities surrounding innovation. We need to consider how big data and analytics, technology and a far more creative thinking needs to be applied collectively. Each of these mentioned will begin to have a change in their ‘productive’ lifecycle in the coming years as we re-evaluate them, integrate their design and evolve them into a more structured innovation process. The Just in Time or JIT method creates the movement of material into a specific location at the required time. The technique works when each operation is closely synchronized with the subsequent ones to make that operation possible. The basic premise of Lean Manufacturing is waste reduction. And “Lean” as a principle is applied to processes of all kinds – not just manufacturing. Continuous Improvement is achievable through the repetition of these principles. Six Sigma has been developed over the last thirty years and has become the de facto methodology to eliminate defects from a process and improve the quality of the manufacturing process. It is used primarily to identify and rectify errors and defects in a manufacturing or business process. Lean Manufacturing even impacts Six Sigma, as Lean Six Sigma has evolved into an approach taken to reduce waste, improve efficiency and drive profitability. 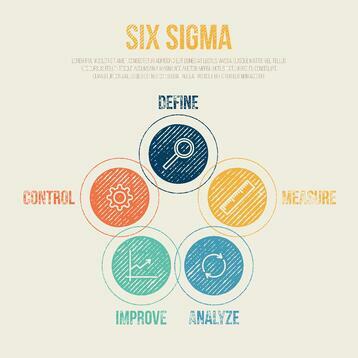 Many organizations see Lean Six Sigma as the evolution of the Six Sigma methodology rather than a modification. Out of this well-established methodology of lean manufacturing came the Lean StartUp. Eric Ries has taken “validated learning” through rapid scientific experimentation as the need so that we work towards shortening the product development cycles. 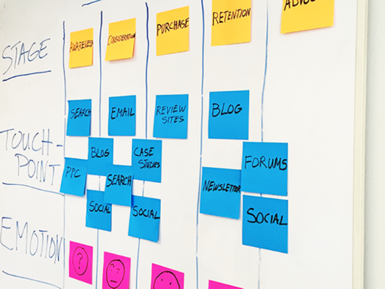 This lean movement has been a significant part of the fusing of internal learning becoming more agile and understanding of what customers really want. It takes agility as central to this evolving through learning and constant discovery. We have built into our problem-solving thinking minimum viable propositions, extended prototyping into our discovery process, and learnt to pivot as we go. TRIZ is a problem solving method based on logic and data, not intuition, which accelerates the project team's ability to solve these problems creatively. TRIZ also provides repeatability, predictability, and reliability due to its structure and algorithmic approach. Business Process Reengineering involves the radical redesign of core business processes to achieve dramatic improvements in productivity, cycle times and quality. BPR aimed to help organizations fundamentally rethink how they do their work in order to dramatically improve customer service, cut operational costs, and become world-class competitors. Business process re-engineering (BPR) is a business management strategy, originally pioneered in the early 1990s, focusing on the analysis and design of workflows and business processes by focusing on the ground-up design of their business, where they start with a blank sheet of paper and rethink existing processes to deliver more value and effectiveness. It is also known as business process redesign, business transformation, or business process change management. I have to admit this is one of my favourites as I was ‘schooled’ in this some years back, in applying it for five years in my corporate life. Customer experience (CX) is the product of an interaction between an organization and a customer over the duration of their relationship. This interaction is made up of three parts: the customer journey, the brand touch points the customer interacts with, and the environments the customer experiences (including digital environment) during their experience. Steve Blank has taken this to a whole new level in his customer development model. Design thinking was created because big corporation often lacked the ability to be creative and struggled to create new products and services that meet unmet needs of their customers. Increasingly value creation typically comes from designers being fully engaged in the innovation process because they are naturally inclined in creative thinking, trained in the methods and tools to produce new values and blend discovery with design. Jobs-to-be-done or Outcome-driven thinking has the fundamentals of jobs-to-be-done thinking coming increasingly more into an innovation practice. The main argument is that companies should stop focusing on the product or the customer and instead focus on the underlying process or “job” the customer is trying to get done. This JtbD framework enables companies to deconstruct a job that customers are trying to get done into specific process steps. The resulting job map, provides a structure that makes it possible, for the first time, to capture all the customer’s needs and to systematically identify opportunities for growth, due to the understanding of when customers are executing a job, they have a set of metrics in mind that define the successful execution of that job to gain company insight into the customer’s needs, or discover the gaps of the unmet needs for innovation growth potential. 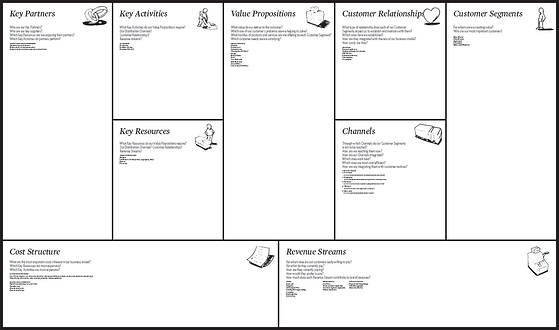 Designing the Business Model through the Canvas has appealed to those that believe they are visionaries, game changers, and challengers striving to defy outmoded business models and design tomorrow's enterprises. 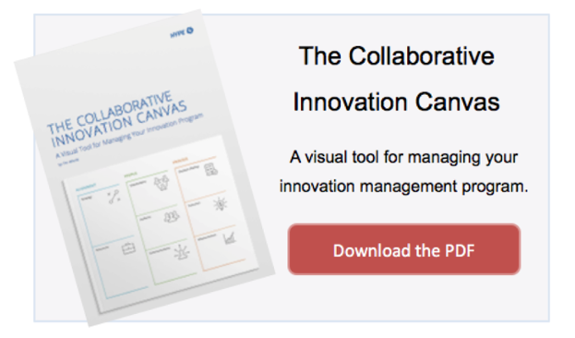 This has spawned a variety of visual tools, different canvases as strategic and operational ideas and tools, and makes them easy to implement in your organization. For me there is an emergence of a broader Applied Innovation Service. You can go on and on in the many ways we have evolved our problem-solving techniques or methodologies that help the innovation and discovery process. We still get caught out by not resolving the basic needs of innovation (culture, environment, climate, governance, alignment) but many of these tools have now built up a powerful body of validation, and they become necessary to know and practice. In some ways we are, in my opinion, at a point of completing a full circle for much within innovation and its management and as this Applied Innovation takes a greater hold, the collection briefly described above and others yet to emerge of theoretical disciplines will increasing align innovation practice in more ‘collective’ and uniquely ‘combined’ ways. Innovation is seemingly more complex today; we need to increasingly rely on problem-solving techniques. So as we seek out greater applied science knowledge we will use it to support and develop practical applications based on technology and innovation. Utilitarian in its principles, seeking real-world use and implementation through a more creative, collaborative environment, leading to more discoveries that distinctly ‘blend’ the lab application with the customer discovery of unmet need. We are encouraging a more abstract thinking as we are increasingly focused on “engineering our business in new and different ways” and TRIZ can partly help in working through this principle of abstraction. So let's now focus on it for the remaining of this post. 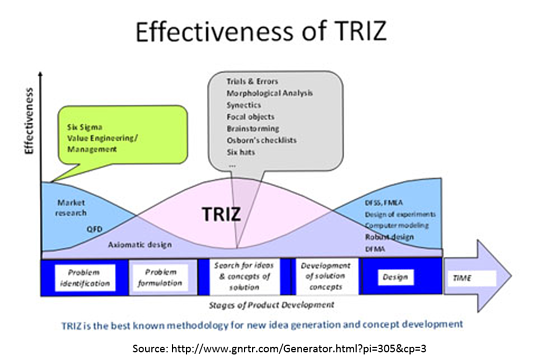 Where does TRIZ fit in this shifting lifecycle of innovation need? TRIZ (pronounced ‘trees’) helps us take a very structured, logical and systematic approach to evaluating a problem and coming up with a unique or innovative solution. We are often looking to solve contradictions and this requires an inductive-deductive reasoning process. You go from a specific problem to a generic problem (inductive), then from this generic problem to a generic solution, then you return to a specific solution (deductive) from this process of reasoning and identification. So TRIZ is a problem solving method based on logic and data, not intuition, which accelerates the project team’s ability to solve these problems creatively. TRIZ also provides repeatability, predictability, and reliability due to its structure and algorithmic approach. TRIZ relies on the study of the patterns of problems and solutions, not on the spontaneous and intuitive creativity of individuals or groups. More than three million patents have been analysed to discover the patterns that predict breakthrough solutions to problems. TRIZ is the Russian acronym for “theory of Inventive Problem Solving” (Theoria Resheneyva Isobretatelskehuh Zadach). It was a method developed by Genrich Altshuller in the former Soviet Union in the study of patents and its principles identified and codified on the recognition that problems and solutions were repeated across industries and sciences, patterns of technical evolution were equally repeated in the same way and innovation using ‘scientific effects’ come from outside the field in where they were originally developed. TRIZ encourages a different level of thinking, arguably its ‘universal’ set of principles encourages that much desired “thinking out-of-the box” to raise questions, inquiry and see solutions that are applied elsewhere that can be applicable and a solution to what you are trying to resolve. Altshuller identified several key aspects of problem solving and extended his observations into a complete algorithm of how to think innovatively. This was seeing “patterns of evolution”, classifying 40 distinct groups that became his “40 innovative principles”, recognizing “contradictions” always had a root cause where two things or features are in opposition and in seeing this fundamental issue you can think more clearly and inventively. Also he saw resources as ‘things’ that are currently not being used, such as a feature that seems currently latent and then ask is it good or harmful and does it contradict or compromise your solution you are looking for. Then he looks at ideality, the sum of all benefits divided by the sum of all costs and harm (unwanted output) in being included to seek out maximum benefit of increasing good, decreasing bad. These are not in any specific order by the way. TRIZ is in corporate use across several parallel paths – it is increasingly common in Six Sigma processes, in project management and risk management systems, and in organizational innovation initiatives. TRIZ research began with the hypothesis that there are universal principles of creativity that are the basis for creative innovations that advance technology. If these principles could be identified and codified, they could be taught to people to make the process of creativity more predictable. Much of the practice of TRIZ consists of learning these repeating patterns of problems-solutions, patterns of technical evolution and methods of using scientific effects, and then applying the general TRIZ patterns to the specific situation that confronts the developer. 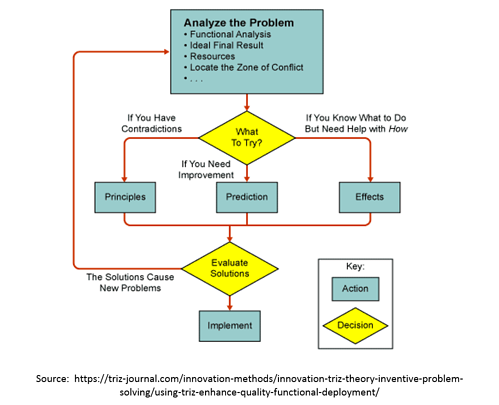 The 40 Principles of Problem Solving are the most accessible “tool” of TRIZ. These are the principles that were found to repeat across many fields, as solutions to many general contradictions, which are at the heart of many problems we constantly face on a daily basis. Often TRIZ is held back as it can seem complicated, be very technical. It also has its roots in Russia which can put some people off, in their perception of innovation and Russia. It has been used far more in engineering and has not taken hold as a problem-solving process across an organization. It remains in specialist pockets so it has been restricted in its application. Also TRIZ still does not get the recognition other concepts have. It is in some ways not a popular innovation methodology and tends to be limited to generating solutions for technical problems and has seemingly had a declining interest in it. TRIZ and its future is perhaps is still caught up in its past. In recent years many of the ‘evangelists’ for TRIZ that were highly active in the late nineties and early twenties, have retired or reduced down their activity in this area. The USA and UK movements seem to have gone fairly quiet. TRIZ needs fresh thinking itself to take hold and become valued as part of the innovation problem-solving process. TRIZ’s future will be determined in the progress towards the development of business orientated TRIZ tools in the early stages of new product/ process developments. If it can demonstrate how it can accelerate the NPD process and how it can become closely integrated with existing best industry practices it can re-emerge, as it does demonstrate great efficacy in solving difficult technical problems and we are increasingly heading towards the need to solve difficult technical challenges. It has a role to play but it needs this champion to allow others to ‘discover it’ again and recognize its contribution. Will it ever achieve a standalone best industry practice? It is hard to see. 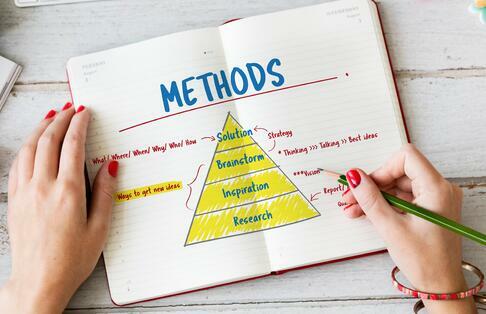 In some research completed in 2016, if you look at other problem-solving and NPD methods in a recent 2016 ranking order on Google, lean methodologies were far away the most popular, then six sigma, closely followed by brainstorming. Crowdsourcing and design thinking followed but at a much lower web page search. Significantly lower down were stage-gate, kaizen method and TRIZ. In some research based on 2015 there has been a steady growth of TRIZ certified specialists worldwide. Yet this is very uneven, with 65% of all certified TRIZ specialists now seemingly located in South Korea and the remaining 35% mostly found in China, Germany and Russia. It is very poorly recognised in most Western Countries (apart from Germany) so it remains a challenge to achieve worldwide adoption. I was surprised at this as I had the impression both the USA and the UK were fairly exposed to TRIZ. When adopted, the classic TRIZ tools seem to be taught not the ones recently developed, that might be more complementary to other tools and methodologies and take TRIZ forward. Yet these are poorly recognized or used in industry practice today. In many ways they lack an evangelist to bring them out as valuable in the innovation development process. Developing any new S-curve for TRIZ will be mostly the adaptation to current business and market needs as suggested in the new tools. There are active TRIZ institutes working on this, as there is this growing need (and demand) for Structured Innovation or as I feel, this growing Applied Innovation Services concept will grow in importance, combining design expertise, analytical prowess, and application services, based on increasing the theoretical disciplines with recent ‘creative’ and discovery practices. TRIZ has a part to play but it needs a new momentum and repositioning perhaps to catch the innovators ‘eye’. It is the combination and appeal that needs radically overhauling and presently might be in its own “contradictions” with other problem-solving approaches. Its future lies in complementing and designing its process in specific problem solving ways to align more within a total innovation process. TRIZ in itself needs to be reengineered, to integrate within the innovation problem-solving process otherwise it will continue to contract in popularity. It does have a clear contribution but has fallen out of favour in today’s more customer focused world.